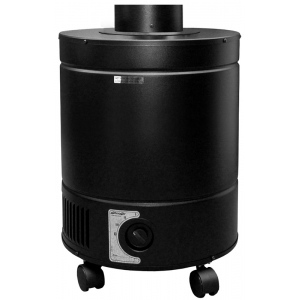 Designed to treat very heavy concentrations of chemicals and odors in a confined space. The "DX" option offers a 36 lb. extra deep-bed carbon filter for enhanced adsorption of airborne toxins, a micro-HEPA for particles and an easy-clean pre-filter. * Carbon Weight: 36 lbs. * Operating Weight: 58 lbs.